Our teacher of the week, Edward Fritz, isn’t merely a principal – he’s also a bus driver, tug-of-war instructor and maths and science teacher to the 126 learners at his school. And because he enjoys it so much, Edward incorporated his goat dairy farm in the school. He’s also a Teachers for Change winner. 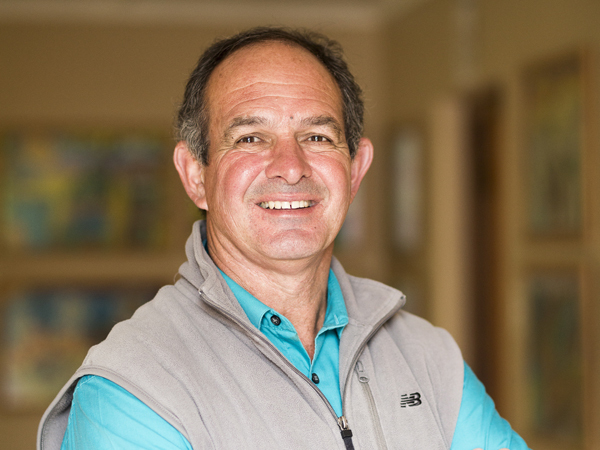 I am the principal of Laerskool Buffeljagsrivier near Swellendam. I teach maths and science to Grade 4-7 learners. I believe I can make a difference and I have a passion for working with kids. Make sure pupils know their times tables! Help children to understand the different combinations in maths and teach them to think outside the box. A principal doesn’t have that luxury that’s called a weekend. Be innovative – there’s always a solution! When our school needed more classrooms three years ago, I helped build two classes like treehouses around a tree on the school property. Help children to develop analytical thinking skills – it will help them in any subject or profession. Listening skills and memory development are also critical. To wake up every day to work with children. There are teachers who only teach, but for me it’s about the difference that I can make in a child’s life.